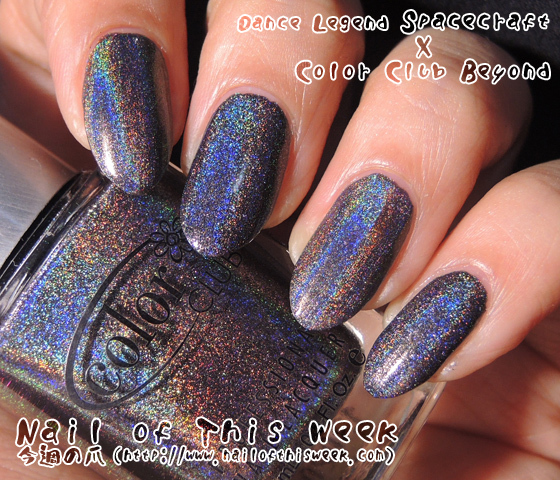 #095: Dance Legend New Prism Spacecraft : Nail of This Week. Part of my dream came true! 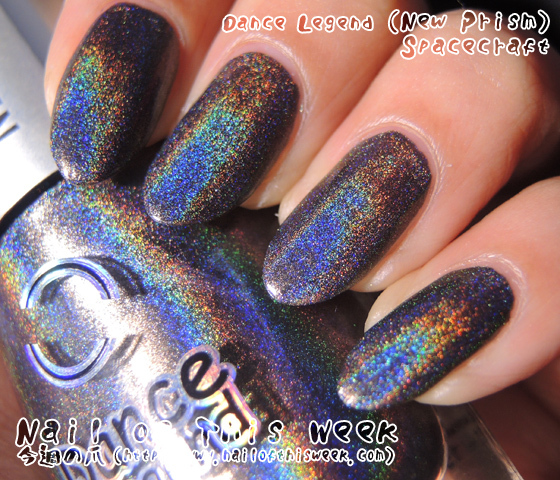 Yes here’s Dance Legend’s holo!! Since I knew this Russian brand & collection, and particularly since I’ve seen someone (Forgot who :( …maybe via twitter?) 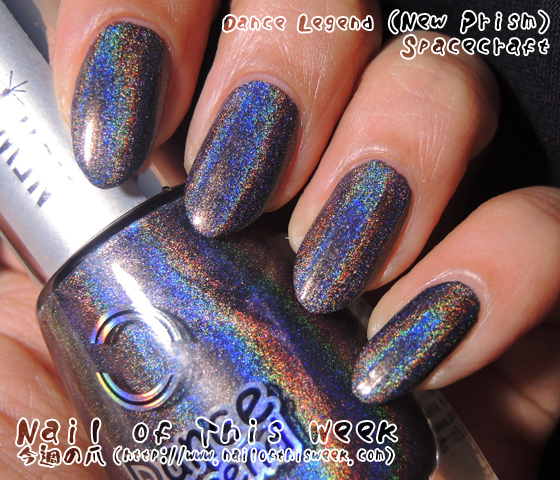 saying “It’s like beloved China Glaze OMG collex, except its holo effect is STRONGER”, entire line of New Prism Collex was sitting on my wishlist; and I was lucky enough to grab some during 40% off sale on Llarowe, YAY! Spacecraft is warm-toned dark charcoal gray holo. Yep it’s not black holo, has much warm tone; but still nicely opaque (2 thin coats are enough), brilliant formula without ANY bald spots/streaks, dries fast and got no effect by topcoat which is really great. Also what’s nice here is holo particle is really fine so rainbow line appears much smoother than any other holos which is available these days. That is a pretty impressive holo! !